Anything water-based that comes from the sky can be classified as acid rain. This includes dew, rain, and snow. Most, or all, of these weather elements settle on cars, and can cause major problems when it comes to a vehicle’s exterior. The acidity in the water can cause the paint and even the metal to weaken over time. How does acid rain impact a vehicle? According to the EPA, damage is caused when the acid material is left behind on a car’s surface after water evaporates. The acidic compound combined with other elements (such as sunlight) can be strong enough to eat away the paint. 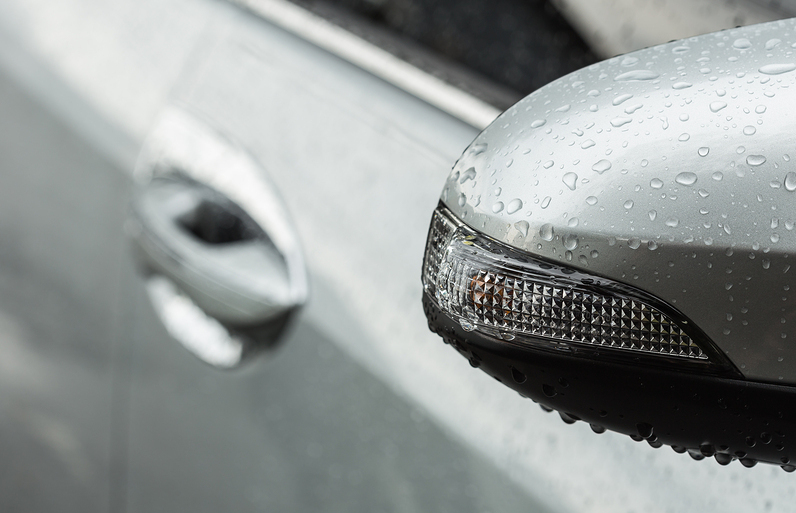 The New York Times cites that vehicles with a clear coat are more vulnerable to the damage acid rain causes. The finish, used since the early 1990’s, is mirror-like and can highlight defects. According to research conducted by the EPA, there will be “irregularly shaped, permanently etched areas” on a car’s surface if it has been impacted by acid rain. The organization suggests that the best way to prevent this damage from happening is to make sure vehicles are washed frequently. Furthermore, hand drying the car or completely covering a vehicle when precipitation is in the forecast is also suggested. How can a car owner prevent damage? Getting a regular car wash can help reduce the amount of acidic material left on the vehicle. If the car is already clean, there will be nothing left behind to further damage the body of the vehicle when water evaporates. A professional car wash not only keeps a car clean and protected, but also helps to prevent damage acid rain can create. Read more about how Mr. Clean Car Wash can protect a vehicle on the inside and out. Also, look for savings on the Mr. Clean Car Was Signature Shine.